Here comes another talk about religion and this time, two of the most ancient system of beliefs in the Indian culture, which are Jainism and Hinduism, will be in the hot seat. At first look, these two may seem very much alike but in reality they are quite opposite from each other. They have a number of differences, and that is the key point of this article. But first, what are their definition and what do they want to express? Jainism is a philosophical and religious system with about two million followers known as Jains, mainly found in India. The reason for its foundation in around 6th century B.C was to protest against the practices of Hinduism. Why are the followers of Jainism called Jains? The word Jain originated from the term Jina which actually refers to someone who has already taken over everything in his inward being which includes certain emotions such as anger, affection, covetousness, pride and more attaining the virtuous and unbounded knowledge in return called Kevala Jnana . What do Jains believe in? The Jains believe that the universe is separated into two autonomous perpetual concepts which they call as the “life” and the “non-life” categories. They also assert that people may be able to achieve the state of perfection merely through the disciplines of asceticism, charity and monasticism. The Jains do not believe in gods or God as the creator of heaven and earth. They only believe that the tirthankara is the one who has the superior position in their doctrine. The deva, as mentioned by Hemachandra, has contained his inner desires; and this responsibility was only carried out by the tirthankara. What happened to the last of the succession of Jainism? Mahavira or Jina was considered to be the ultimate historical figure of the succession of Jainism’s twenty-four original saints. He taught the philosophy of ahimsa, which holds that all forms of life are sacred and spurring the advocacy of non-violence. Along with that guiding principle are the two equally important doctrines of apraigraha which means non-possession and anekanta which means non-absolutism. What happened during the decline of Jainism? There is a legend which states that when the Hindu philosopher named Adi Sankaracarya attempted to reestablish the Vedic religion in the 8th century, a number of 8000 Jain monks were mass murdered under the dictation of King Koon Pandiyan. During this time, the Advaita doctrine alongside Vaishnavism and Shaivism started to arise. Jain temples such as the Trikkur Mahadeva Temple and Padmakshi Temple have also been modified into Hindu temples mostly in the region of South India. 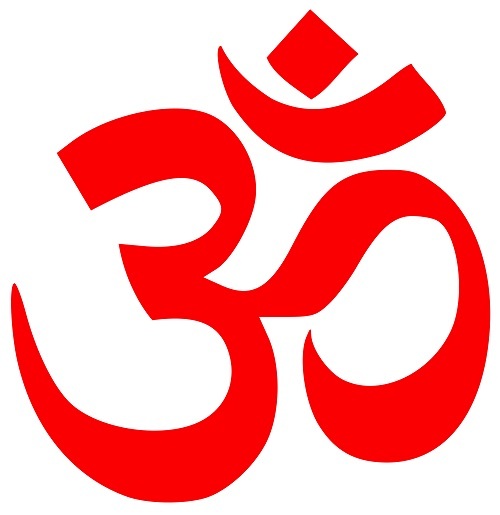 Hinduism is highly considered to be the principal religion of the country of India. It is listed as the world’s third largest religions in terms of its number of followers subsequent to Christianity and Islam. It is founded on the sanctified writings of the Veda dating back to around 3,000 years ago. What set of beliefs does Hinduism hold true? The Hindus believe in the doctrine of reincarnation and the soul’s transmigration which means that an individual may successively be reborn into one the five classes of living beings such as a god, human, animal, hungry ghost or even a hell dweller; and these all depends on the deeds of the person. The Hindus believe in the idea of karma which maintains that every human being is chastised for the things they did wrong and also blessed for the things they did right, if not in the existing period of time, then in their rebirth. With this, they strive to live higher in their existence to attain absorption into Brahma’s attributes. The Hindus also believe in various village and tribal gods namely Brahma (the creator), Vishnu (the preserver) and Shiva (the destroyer). How did Hinduism change through the years? Hinduism began to evolve between 800 and 500 B.C because of the influence of its rival religions, Buddhism and Jainism. During this period, significant changes came about such as the formation of the caste system and the existence of the enlightened Brahmans, often a priest, as the society’s supreme being. Hinduism has also included important subsidiary cults such as Shiva, Vishnu, Krishna, Shakti and the Matris. What is the basic principle of Hinduism? The caste division they call as the Varnasrama Dharmas is the fundamental precept cited in Hinduism’s sacred texts. They believe in the four important Varnas and these are the Brahmana, Kshatriya, Vaisya and Shudra; and also the four phases of man’s life namely the Brahmacharya (pre-marriage), the Grihastha (post-marriage), the Vanaprastha (during retreat to forest), and the Sansaya (renouncement to mundane matters). They hold that every individual should experience these stages in their life and that he has to improve himself as early as the stage of Brahmacharya. What are the Similarities of Jainism and Hinduism? Jainism and Hinduism have existed together in the country of the Dravidian language Tamil in southern India and Sri Lanka for almost as early as the 2nd century B.C. With that coexistence, these two have some similarities that are also quite noteworthy. 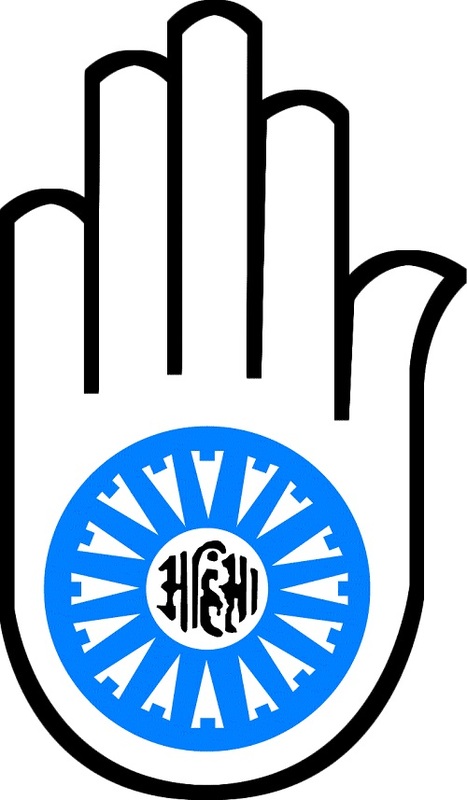 Jainism and Hinduism both originated in India. They are both known to be ancient religions of Indians. Jainism and Hinduism both accept the existence of the atma or soul, and they believe in its immortality. For them,the physical body may die but the spirit soul that inhabits the it will live on resulting to reincarnation. Jainism and Hinduism both believe in karma (both good and bad), reincarnation (continuous recurrence of life after death) and moksha (liberation from the cycle of life and death). However, they differ in meanings on these concepts. What are the Differences Between Jainism and Hinduism? The followers of Jainism have declined over the years as some Jains have now considered themselves as Hindus. On the other hand, Hinduism is considered to be the third largest religion in the world. The Hindus believe in deities or gods such as Brahma, Vishnu, Shiva. They believe that these gods created the universe, preserves the universe and punishes everyone who does wrong in the universe respectively. The Jains, on the other hand, don’t believe in an almighty god and that the universe is in itself, more powerful than the laws the universe has. The Jains do not practice animal sacrifices as they value all forms of life through non-violence. The Hindus, on the other hand, have allowed the concept of violence as long as it can help one reach enlightenment. The Hindus believe that moksha or liberation happens when the soul unites with its universal soul resulting to an everlasting stay in Vishnu’s paradise or in Vaikunthdham, while the Jains believe that moksha is just an activity-less and tranquil universe which is said to happen in Siddhabhumi. For the Hindus, karma is an unseen power that happens to the people in the temporal world or the samsara and depends words, thoughts and actions whether good or bad; while for the Jains, karma is a a physical force that can exist everywhere in the universe and that its particles can stick to the soul of the people depending on their actions. In Jainism, the universe is more powerful than any creator, which is opposite to the belief of the Hindus that the universe is formed by Brahma the creator. In Hinduism, man his different duties in life such as the Brahmana who engages in the study of Veda; the Kshatriya who protects the people; the Vaisya who looks after the business concerns; and the Shudra who serves the three aforementioned sorts of caste. On the other hand, Jainism teaches individual conducts and spiritual righteousness through the virtue of non-possession, and the formation of a society free from exploitation; but they do not talk about the division and duties of humans in different classes. Jainism and Hinduism may have coexisted at one point in the history of world religions, but they are different when it comes to the beliefs and concepts of creator, universe, animal sacrifices, moksha or liberation, karma and of course the meaning of human life. One more thing is that Jainism’s number of followers have declined through the years whereas Hinduism has become one of the three largest world religions following Christianity and Islam. Animal Sacrifices Jains believe in non-violence to all forms of life. Hindus allow violence as long as it helps reach enlightenment. Human Life No teachings about the division and duties of humans in different classes. There are four classes of human life: the Brahmana, Kshatriya, Vaisya and Shudra. Julian Angelo. "Difference Between Jainism and Hinduism." DifferenceBetween.net. October 2, 2017 < http://www.differencebetween.net/miscellaneous/religion-miscellaneous/difference-between-jainism-and-hinduism/ >. First of all Hinduism is a modern term that was coined by the british to categorize all Indian religions and philisophies that weren’t Buddhism, Sikhism, or Jainism. Prior to that the Islamic invasion saw Hindu used as a term to describe Indian pagans who had not accepted Islam. Thus, Hindus, Buddhists, jains etc. Prior to that Hindu was a Persian term that simply meant Indian. Jainism is a school of Indian philosophy, just like others. Indian philosophy is divided into two categories, Astika and Nastika. Astika hold the Vedas and its tradition to be very important and supreme in philosophy. Nastika reject the supremacy/importance of the Vedas (entirely or partly). The Fact is Jainism was never a popular “religion” in India. It saw rich and wealthy patrons in India in form of businessmen and monarchs, but thats it. Very few people ever truly practiced Jainism. It never became popular. This is coming from a person of a Jain family. As for the claim of Adi Shankracharya being responsible for massacres that never happened, its also an act of fiction. Adi Shankracharya is considered one of the greatest philosophers of ancient India, and also one of the greatest debaters. He alone wiped out Buddhism and other philosophical schools in southern India simply by challenging rival monks on the condition that the looser converts to the victors school of thought, this included the followers of those monks to. Thus Jainism died out in the south along with Buddhism because it couldn’t challange the Advaita Vedanta school of philosophy. Jains also practice “caste system”. Caste is a modern term which doesn’t apply to Indian social practices, and it also doesn’t apply to the Varnaasharamadharma that the Vedas only briefly mentions. Varna isn’t caste, it is an unimportant classification of qualities, humans, and society briefly discussed in the Purusha Sukta of the Rigveda, the only time Varnas are mentioned. The post Vedic period saw the rise of jati or birth groups which were like castes, but also incorporated tribes clans and other structures. This article is the product of ignorance in the fields of History, Philosophy, and doctrines. I think that this is an excellent educational site.Fantastic layout of facts! Thank you for sharing the actual difference between the Hinduism and Jainism. Jainism is a philosophical and religious system with about two million followers known as Jains, mainly found in India. Mahavira or Jina was considered to be the ultimate historical figure of the succession of Jainism’s twenty-four original saints. Hinduism is highly considered to be the principal religion of the country of India. “Jainism and Hinduism.” Wikipedia.com. Wikimedia Foundation, Inc., 13 September 2017. Web. “Jainism and Hinduism.” The New Websters International Encyclopedia. Florida: Trident Press International. 1999. Print.